Since the day that I get my HTC Touch Pro, I’ve been making countless attempts to get the GPS working. But all of my attempts failed. Just to make sure that it’s not GPS satellite problem, I bring along my previous Nokia N95 for testing. It just works fine. 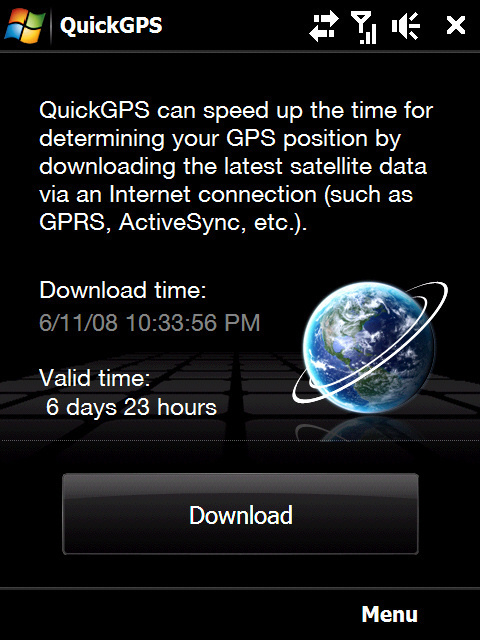 N95 is getting satellite fix normally. Consulting HTC Touch Pro manual is no use as well. Suprisingly, this is the only page in the manual that talks about GPS feature on HTC Touch Pro. and download the latest satellite data. Still. No sign at all that my GPS is working. So many scary thoughts coming to my mind of whether I’m got a defect product. Frustrated with that, I tried to consult a friend of mine who is using HTC TyTN II, and he said that he’s got no problem with GPS. Upon searching numerous forum on the net, it seems I’m not alone. 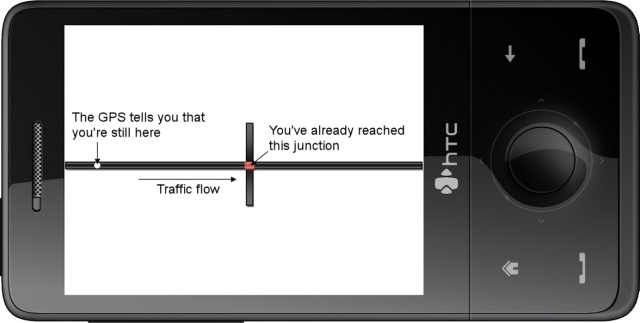 There are so many forums talking about GPS lag problem on HTC Touch Pro. So, what is GPS lag anyway? The following photo should explains everything. My case is even worse. I cannot get the satellite to fix the connection on my at all. So how do I know that I’m getting no fix? 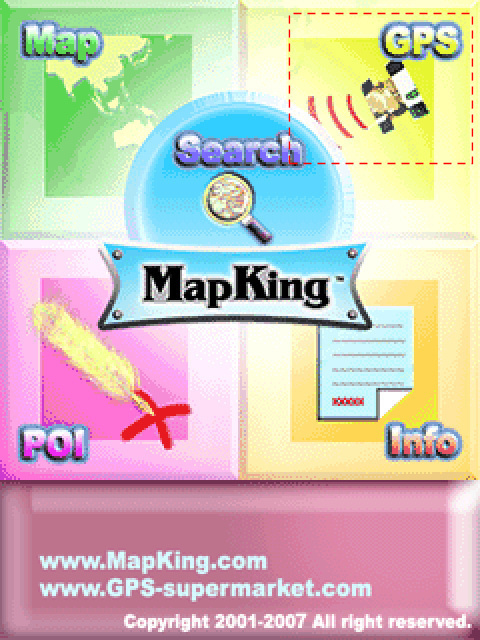 I have this MapKing 2007 software installed. Once I’m in, I just click the GPS icon on top right hand corner. Now I’m in the GPS navigation screen. Nothing happened here since no GPS fixed on my device. So I tap anywhere on the screen to bring the option screen. Once I’m in the option screen, I tap the GPS Status icon to look at what really happening. So I’m on the status screen. I bet the red dots are the satellites that scattered around the earth orbit. See the status that says No Fix. Well, this is the screen that I see all times whenever I test the GPS function. It annoys greatly to see those red bars picking up high signal, but still no satellites fix. With those tweaks pedestrian usage will be much better but not perfect. 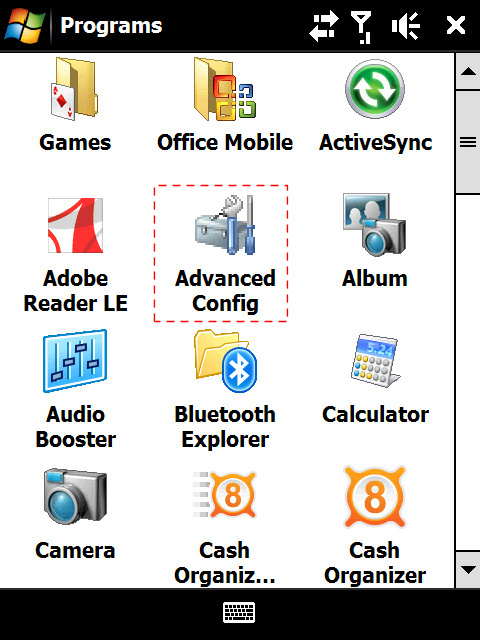 First, I open the Advanced Configuration Tool application. Once in, I just navigate to the GPS tree. This is what I see initially. 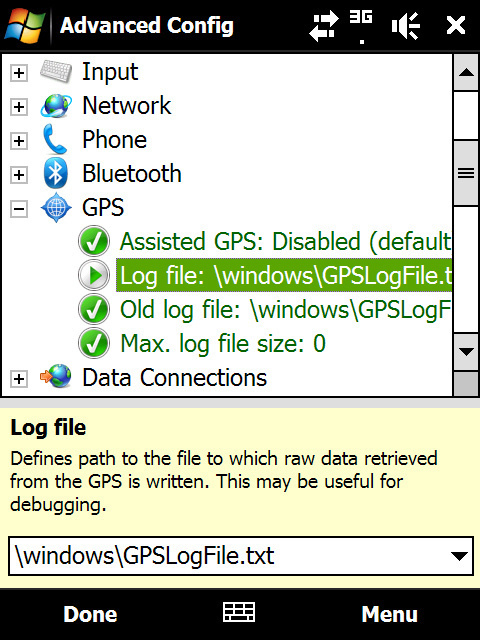 Assisted GPS (A-GPS) is disabled by default. 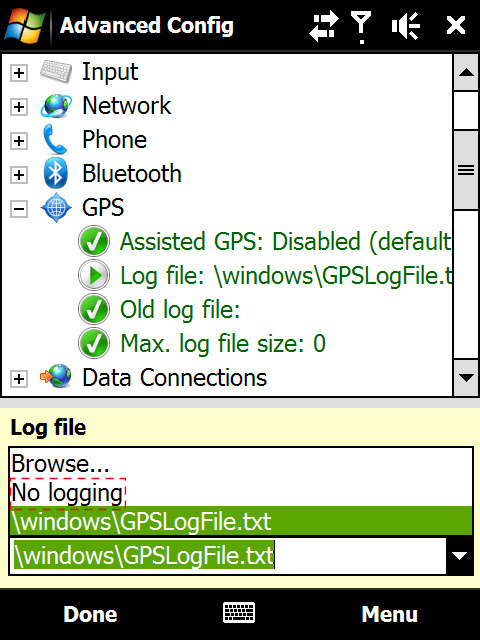 Go to Log File option. By double clicking, I set the option to No Logging. Then, I delete the entry for Old Log File. Max. 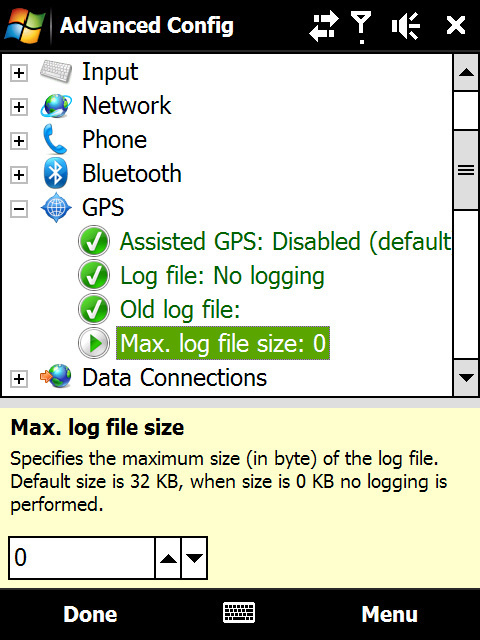 log file size is set to 0 by default. And this is how the screen showing the final setting for this. I’m done here. When I close this utility, it will warn me to soft reset the device for the effect to take place. I don’t do this first as I will do it after the next section. So next, I open up the Total Commander application. 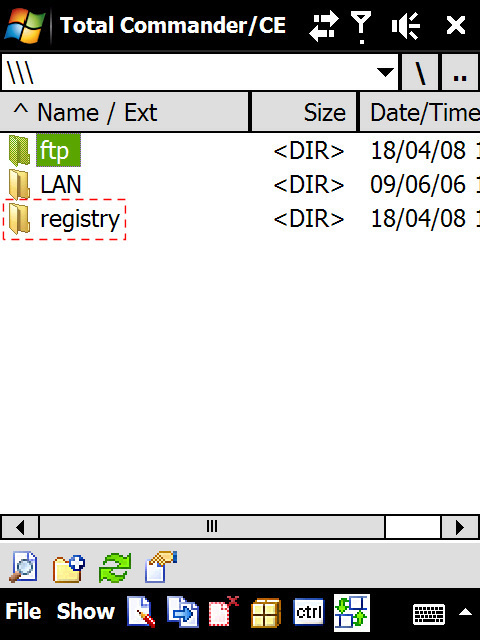 then I will see the registry folder. 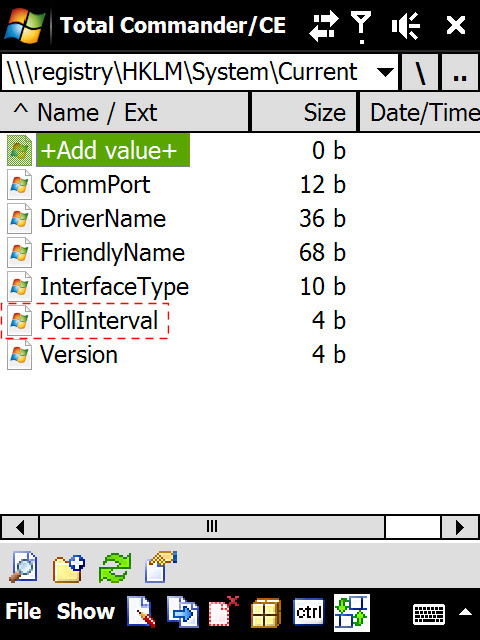 and all the way to HKLM\SYSTEM\CurrentControlSet\GPS Intermediate Driver\Drivers\GpsOneDevice\, as they key that I need to edit is located there – which is PollInterval. Just double click the key to edit the value. and specify the name of the key that I want. 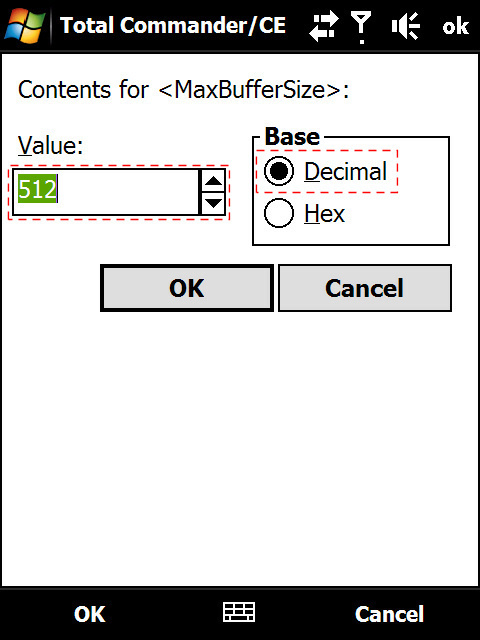 In this case, it should be MaxBufferSize. 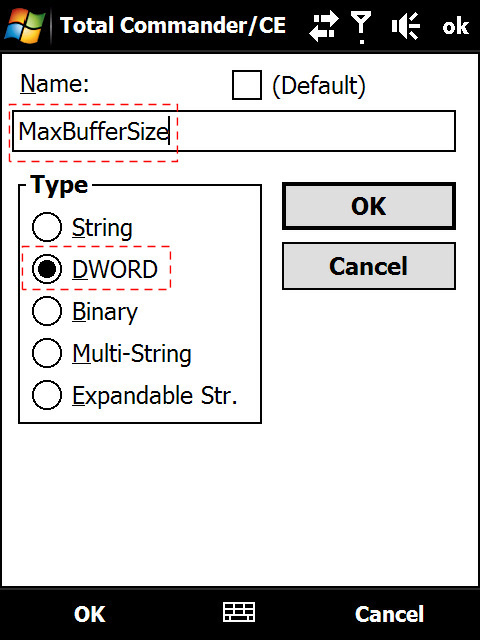 Make sure DWORD is selected for the Type. I tap OK button to confirm. Then it will ask me to enter the value for that newly created key. So I enter 512 here. Here is the new key that I just created. Finally, I exit Total Command, and soft reset my HTC Touch Pro. 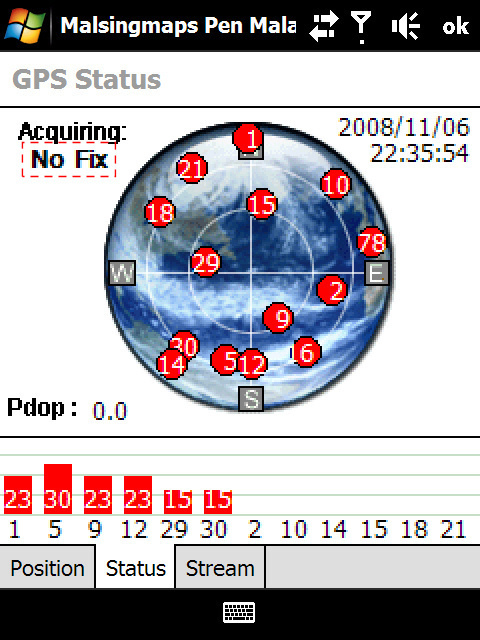 One I’m in, I get into MapKing 2007 again, and to the same GPS status screen in MapKing 2007 again. It’s the moment of truth of whether my trouble of tweaking the settings worth or not…. drum rolls…..
Yippe! It works! I’m very happy. Finally, the satellite is able to fix my device. Oh dear, what a relief to see this. 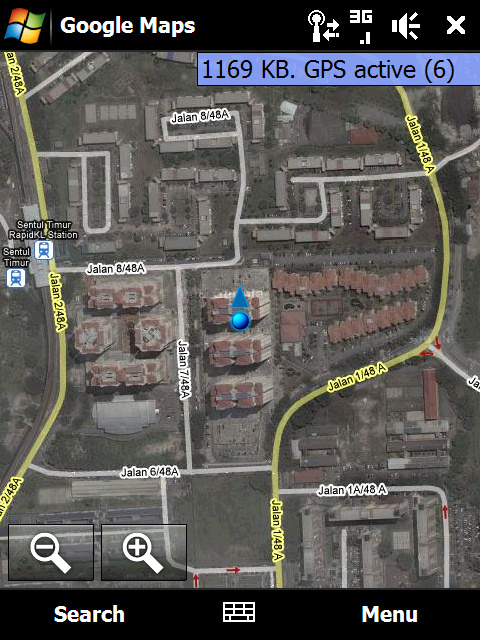 So, let test this in Google Map. Yeap. That is my location at this instant. It’s very accurate I have to say. I guess my worries are over. I’m quite happy with this tweak for the time being, until HTC release the updated ROM for HTC Touch Pro that will fix this issue. Patience is what I need most now. I have been testing this on the road as well, and it’s pretty good. I don’t face GPS lag at all. Thanks man. Nice guide. I had the same problem with new HTC Touch Pro and your guide worked perfectly except for one thing: the totalcommander you are pointing to seems to be Windows version. 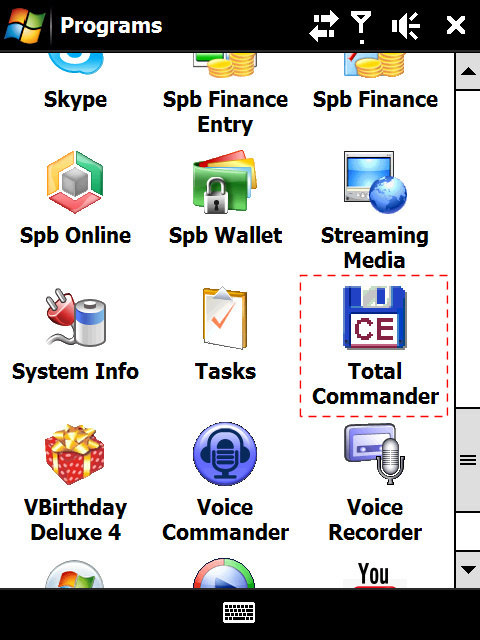 I used the Totalcommander 2.51 for PocketPC (processot type ARM). And then only mapking found the GPS. Nice and useful guide. It works on my touch pro as well, fast fixing within seconds. 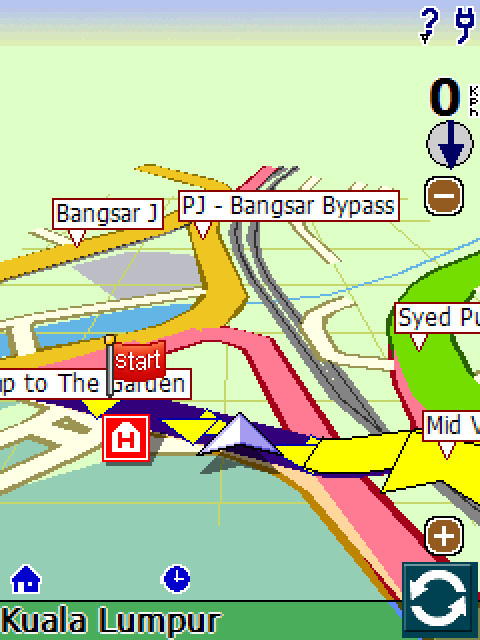 It happened once gps was not detected again this morning inside mapking. 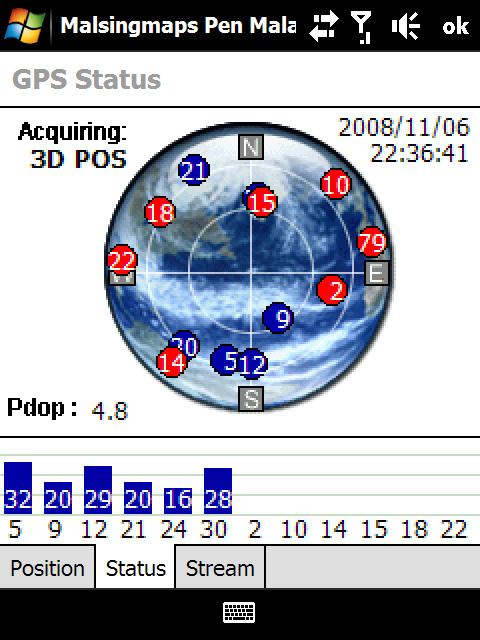 I loaded up fastgps and after that mapking detected gps. Why? AWESOME! my gps works great now. All that is left is finding a map program that does not need the data connection to pull the maps. I had upload the Microsoft .NET Compact Framework 3.5. But when try to install on my HTC Touch 3G. I getting “there is no application associated with “NETCFSetup35”. Run the application fisrst, then open t he file from within the application”…. So you guys know why t his happen ?? 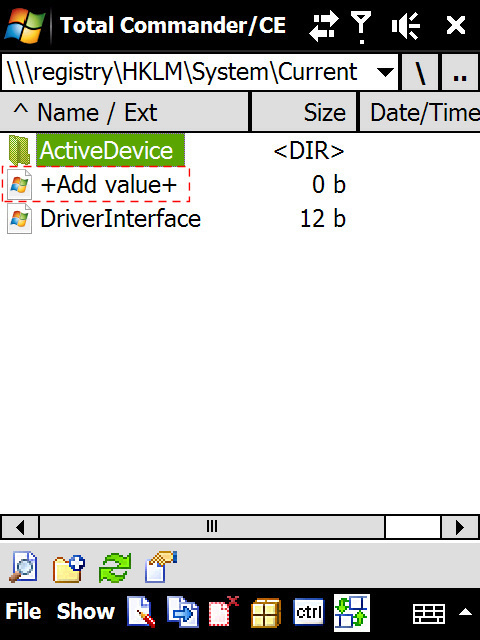 Fantastic guide.. thanks a ton.. As someone else pointed out, the total commander version for ppc is different (ARM processor needs to be chosen). I am in love with this phone albeit it is sluggish at times.. I see some issues with Wi-Fi browsing at home. It used to work like a charm with my previous WM 5.0 device (Samsung). I guess it is because of the Wireless-N router I am using. Do you have a suggestion for a conversion application? Any suggestions on a good site for free / chargeable applications? Great guide, Thank you. However, cold starts on this device are rediculous. 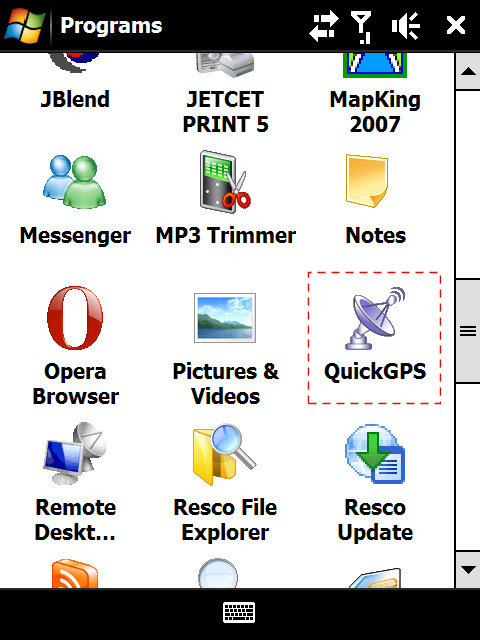 Where can I get QuickGPS for my touch pro? I only did the A part, points 1-5. Did the trick for me. 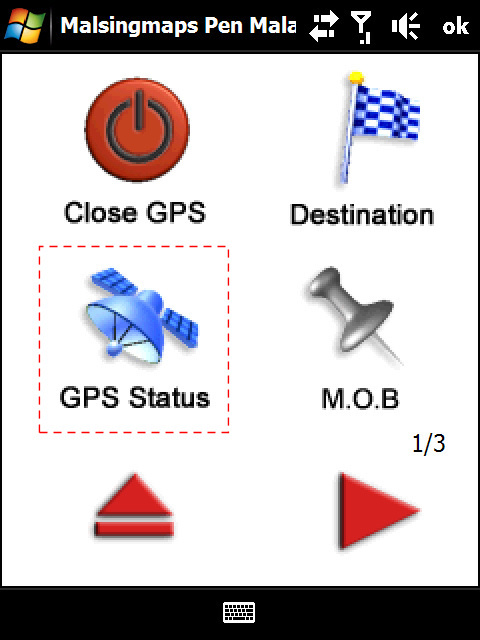 This fix also work with a scenario where the gps unit intermittently disappears. I've had my software started (Tomtom Navigator, probably v. 7.450) and this is what is displayed perhaps every other time the software is started (translated from swedish):GPS Unit missing (this is normal at startup)GPS Signal disappeared X seconds agoGPS Unit missingGPS Signal disappeared X seconds agoGPS Unit missingand so on…I had to do a lot of fiddeling to get it started properly. No fun at all, esp. if I'm driving. The fix described here solved it for me, now it always start the way it should. Thanks to the author! Wow I Cant believe this actually works… Wow! Thank you so much! 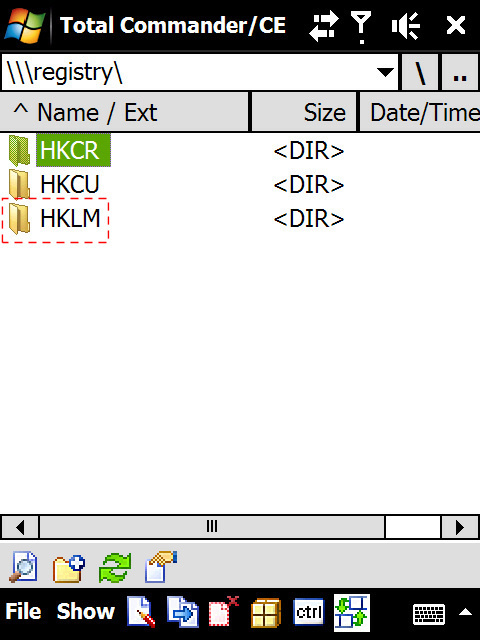 hi .. i already follow ur instruction but status tab mapking still No fix.. do i miss step.. actually how to delete GPSLogFile.. i try delete but always got notify cant delete that file.. any sugestion? 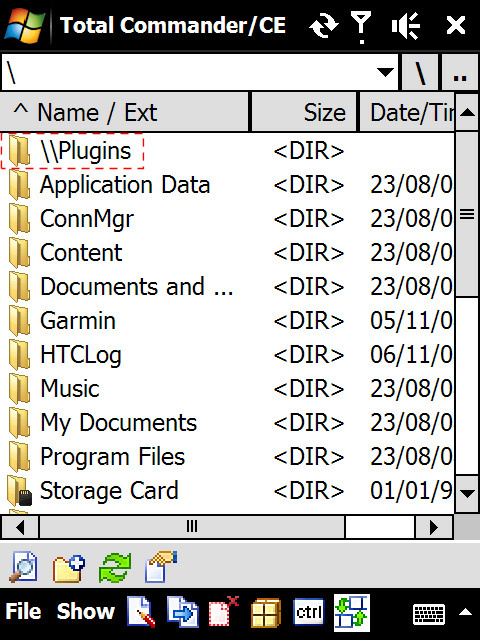 hi .. i already follow your instruction but status tab mapking still No fix.. do i miss step.. actually how to delete GPSLogFile.. i try delete but always got notify cant delete that file.. any sugestion? Thank you so very much, great guide!!! saya Install garmin utk my HTC Touch 3G tapi tak boleh detect GPS signal.Ada cara tak nak solve? 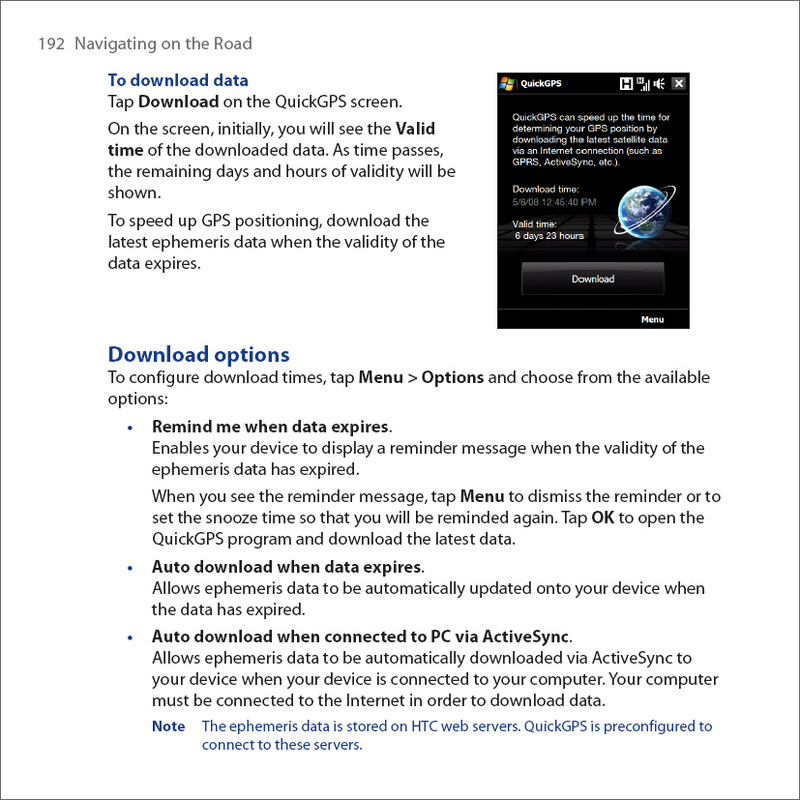 thank you —- thak you … thank you… i have struggled with my HTC touchpro for ages… and now the freaking GPS is finally working…. This is really really great !! hi hans. glad that your GPS works now. Fix is quick and stable. 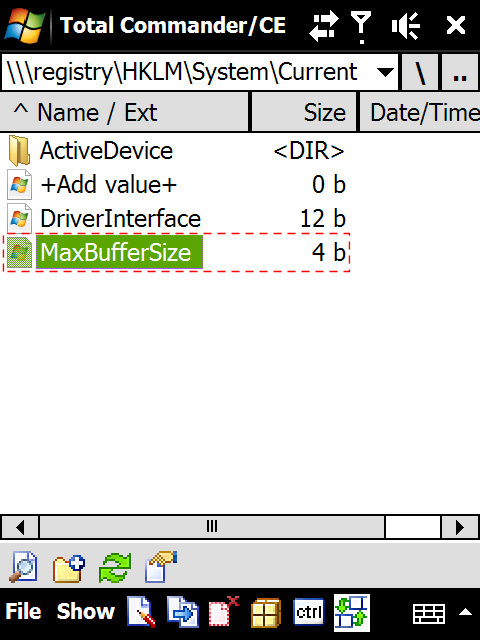 it is working on a htc touch hd? I have HTC Touch Diamond with WinMo 6.1. Find extremely frustrating since there is no auto redial in this. This Worked PERFECTLY on my Touch Pro 2 (1.18 ROM). THANKS! Also if you get no satellites You must enable Start, Settings, Personal, Phone, CDMA Services, Location Settings, Get Settings, LOCATION ON.